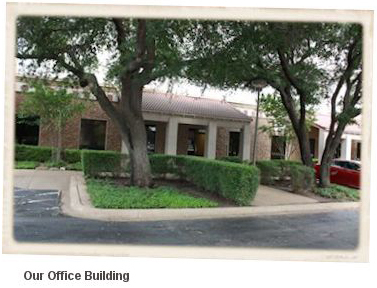 The Motor Bookstore, established in 1997, is a veteran and family owned business located in Richardson, Texas. The Motor Bookstore has proudly served nearly 700,000 DIY customers to date. 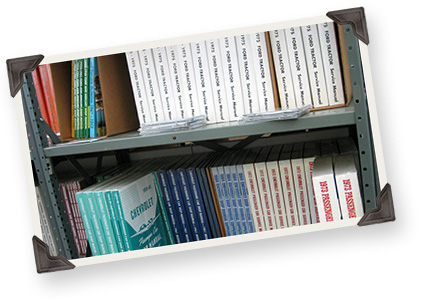 We aim to provide the largest selection of DIY service/repair manuals and how-to literature delivered to the customer quickly and at the lowest price possible. We take a customer first approach in everything we do! We are not like the big box online stores - nor do we want to be. We answer the phones Monday through Friday between 8:00am to 3:00pm central time. We stock all books, CDs and videos in our warehouses. We offer the best prices available in the market. Our order processing, inventory and shipping is automated to enhance speed and accuracy of your orders and shipping. Our shipping is fast. We beat our advertised Free Shipping duration 90% of the time - most receive their orders within 5 business days. We are committed to do whatever we can to make things right for you. We offer a 30 Day Money-Back Guarantee. We want you to be fully satisfied with your purchase. We are a community of DIY'ers and Motorheads. We genuinely care about the success of your DIY project and we love to hear success stories! Our systems, attitude and central location allow us to beat our advertised 3-9 day Free Shipping duration 90% of the time. Most of our customers who select Free Shipping receive their book(s) within 5 days! On occasion you might hear Molly and Koda in the background, two Australian Shepherds. They love to sleep at The Motor Bookstore while everyone else is bustin' and movin'...Refer to the helpful Info Pages for detailed information about our store. In 1994, a seven-title, one-page "catalog" in the Motorcycle Shopper magazine was the original seed that has grown into the website you're visiting today. Originally launched in November of 1997 as MotorcycleBooks.com, the website became TheMotorBookstore.com in 2002, as our service manual inventory was expanded to offer manuals for cars, trucks, farm tractors, outboard motors, lawn mowers, generators, ATVs, personal watercraft, and more. If you think back to 1997, the internet and online shopping experiences were very, very different. Some of the most popular search engines and online stores did not even exist. You might say the founder of The Motor Bookstore was an internet shopping pioneer! Fast forward more than fifteen years, the internet has vastly changed and most importantly it is part of our daily lives. The Motor Bookstore was physically moved from Debary, Florida to Richardson, Texas in February 2013. In spite of the growth of the internet and the expansion of our product offerings, The Motor Bookstore's goal remains the same as it did back in 1997. We are committed to help do-it-yourself home mechanics find related literature � at a reasonable price  to keep their machines on the roads, trails, pastures, lawns, water, etc. So whether you want to repair, service or restore your vehicle or equipment, we probably have the book you'll need to get the job done right. Our service manual inventory also includes many popular O.E.M. factory manuals, both in print and on CD, and our restoration manual section is one of the largest and most comprehensive automotive libraries you'll find anywhere. We would like to thank our customers for our success, because without you, The Motor Bookstore would not exist. We hope you continue to choose The Motor Bookstore to provide the DIY literature you need and the service you deserve for years to come. Please feel free to call us or write us with any questions! We love getting to know our customers.